SYTRONICS is designing, fabricating, and installing a new F404 ABFCTS at Naval Air Depot, Jacksonville, FL. The new F404 ABFCTS will perform the monitoring, measuring, computing, verifying, controlling, sequencing, and recording of the operating parameters of the Navy F404 ABFCTS and Navy Afterburner Fuel Pump under test conditions. SYTRONICS is providing a centralized data acquisition and control system integrated into a PC-based system with parameters viewed on-screen. While the pumps, motors, and valves will be replaced with modern counterparts; the old indicators, gauges, digital readouts, control handles, knobs, and other dedicated devices will be displayed on-screen and control parameters will be manipulated with a mouse, keystroke, or computer test program. 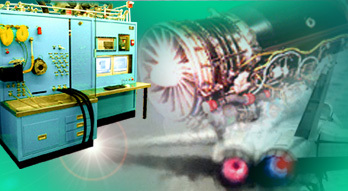 SYTRONICS is providing an upgraded version of Fuel Control Automated Test Software (FCATS) called Professional Turbine Engine and Component Software (ProTECS).